As we announced in our post “We’re writing a book!”, Luc and myself started writing a PowerCLI book. At about the same time I got a once-in-a-lifetime opportunity to join EMC as a vSpecialist, how could I turn that down ! 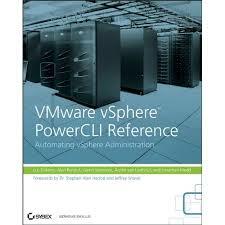 Now you don’t become a vSpecialist for free, I have been spending a fair amount of time in training, coming up to speed with VCE (VMware/Cisco/EMC) and travelling all over the globe. The little time I did have spare was spent at home with my family. As a consequence, our chapter-writing schedule failed miserably, something which I am ashamed of as Luc is doing a fantastic job. In other words, the book will be now be written by “4 vExperts and a MVP” !